Before I started leading, I knew how hard I had to work to be able to follow well. And I knew, because my dance partners told me, that not all followers had equal abilities. Yet I still, deep down, believed that followers “just followed”, like humans “just breathed” and fish “just swam”. Oh, I would protest against the idea. I would make sarcastic comments about those people who told me that “following is easy; it’s leaders who have to do all the work” before adding “so many women don’t know how to follow; it’s really frustrating”. But a part of me had internalised the idea that following didn’t require as much skill as leading and that, in order to dance beautifully, all a follower required was a great leader. It was only when I started leading last year that I discovered just how wrong I was. Yes, that’s right – it took leading to make me understand how much I brought to a dance as a follower. Never mind all the classes, the number of mistakes I’d made and learnt from, and all the practising and research I’d done; I still hadn’t thought of myself as being someone who added value to a dance. When I led with a talented follower, all of my moves would work perfectly. 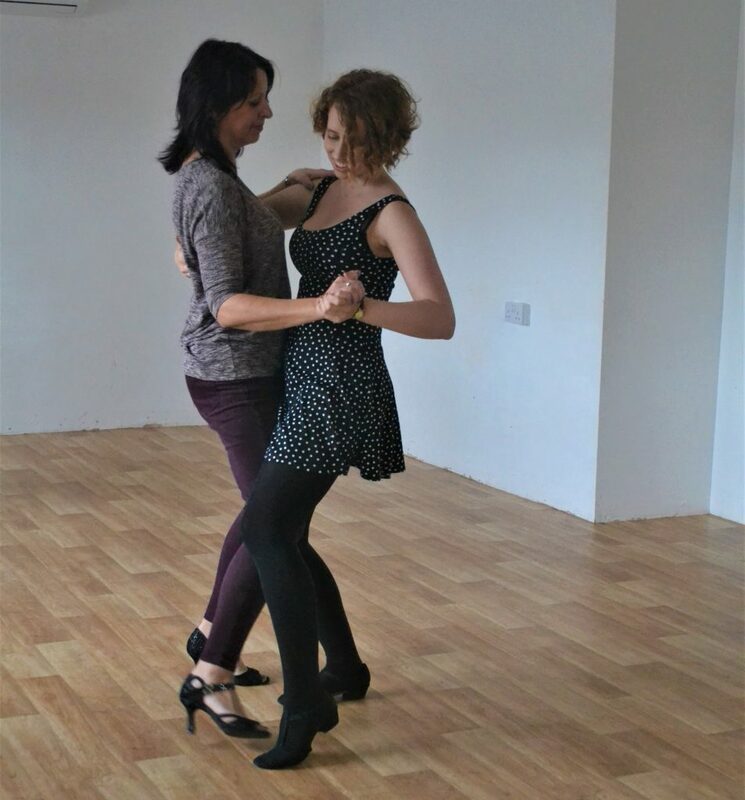 My partner would react instantly to any lead, they would do it smoothly, they would correctly interpret moves they hadn’t danced before… and they would make me feel (and look) amazing. Their great frame, timing, and technique allowed me to invest less energy into each move so that, instead, I could think about the music and what I wanted to lead next. And if I made a mistake, or simply had a sloppy lead, they would compensate for me and turn that error into something beautiful. They would also inject their personality and creativity into the dance. They would understand the music, and they would add a piece of styling or footwork that complemented or developed what I had been suggesting. It was fun watching my followers’ interpretations and embellishments; together, we were co-creating a beautiful dance. Just like there were leaders who I couldn’t wait to dance with again, there were followers who I would attend events hoping to see. On the other hand, there were followers who were harder to dance with. This didn’t mean they were “bad dancers”, no more than an improver-level leader is a bad dancer. They were just technically at an earlier stage in their dance journey. For example, sometimes, there were issues like a poor frame or heaviness. At other times, they were uncomfortable following moves they hadn’t been taught in classes. Sometimes, I led people who were traditionally leaders and had to strain to move them in different directions or to fight against their tension. Dancing with these followers – who still had plenty of positive traits, be it their musicality and style or their personal engagement with me – pushed me harder. I had to find moves that they knew how to follow; I had to adjust my routines at short notice because my partner wasn’t in a good position for the next step I had in mind; I had to struggle to work with tension that didn’t match mine or find ways to give leads that, despite a collapsed frame, were clear yet not rough. I also had to start leading moves earlier. Perhaps, in fact, I had to start leading them when I should have been doing so, had talented followers not been compensating for my late signals. What’s more, as I progressed to being an improver-level leader, I started to realise something controversial: I didn’t have to work that hard to impress my partners. As long as I could execute a few moves well, followers would tell me I was a good leader. If I knew just one move that they hadn’t experienced before, they would often think I was a better dancer than them. As an improver-level leader, I started getting the sort of praise from intermediate-level followers that, as a follower, I just didn’t get until I reached intermediate level. If something was challenging for me as a follower, I had to either master it or hope my leader wouldn’t do it. But as a leader? I tucked it into that little box of don’t-do-now-learn-later and, instead, focused on more variations of moves that came more naturally to me. My follower would never know, on the social dance floor, how much of a struggle other steps could be for me. Don’t get me wrong: as a beginner, I found leading extremely challenging. I had to focus not just on my movements but also on my follower’s movements, the lead, the music, and floorcraft (and, in my particular case, I was also struggling with learning to lead in a different language). But once I’d reached a basic level of competency, I no longer found leading quite so difficult. I don’t want to say that either leading or following is easier than the other. They have their own challenges. In my personal and limited experience, these tend to become more evident at different stages of the learning journey. Yes, it’s true that I sometimes find following easier than leading. But at other times, I find leading easier than following. The real difference is not how challenging one or the other is but rather that, even as a much more experienced follower, I still receive more praise for my leading. When a dance goes badly, sometimes we blame our partners. It’s easy to say “this dance wasn’t as good because my follower didn’t know how to follow my moves”. It’s the same kind of statement we often hear made about leads: “if I didn’t do a move right, it’s because the leader didn’t know to do it properly”. But every partnered dance is, as the name suggests, a partnership. And in every partnership, it is about working with your dance partner. If you are equally skilled, you can both dance to the best of your abilities. If one person is “better” than the other, they compensate for their partner. And I am sure that, much of the time, who is compensating for whom varies from move to move. Having a good frame; being light; adjusting tension; responding to a variety of different leads, not just in one dance but across the full spectrum of dancers on the floor; dancing in different styles; following something new; having full control over our own bodies and dance lines, even during spins and dips; injecting musicality and styling that enhances rather than obstructs the dance and that also reflects our partner’s leads, the music, and our own personal identity… none of this is natural. All of these are skills that we hone through months and years of practice. And just like how, as a follower, dancing with every different leader is a different experience, as a leader, dancing with every follower is a different experience. A dance isn’t created by a leader and presented to the follower as a finished gift; it is co-created out of the mixture of two different people’s dance styles, abilities, and interpretations of the music and the connection between each other. Just follow? That’s like saying “just paint”, “just speak French”… or even “just lead”. i totally agree with this. 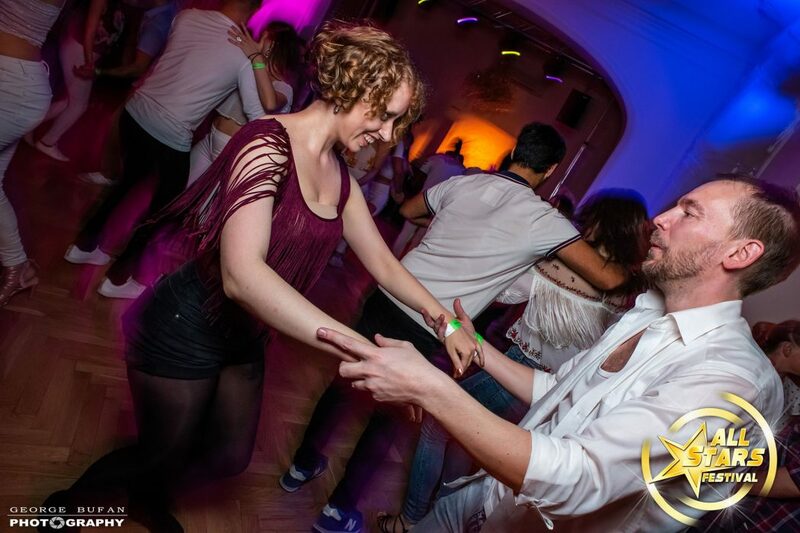 I was lucky in having 2.5 years of how to follow drummed into me in salsa, which meant when I moved over to modern jive (and more latterly west coast swing), I was seen as a good follower and had compliments because I was easy to lead. But as you say, it’s not until I learnt to lead that I understood good followers. I also find people say I’m a good leader (I’m no more than an improver leader because I know moves, but struggle to move it on with more musicality because I don’t lead very often), because being a follower means you understand what adjustments you’d want to see from a leader. But there’s definitely a knack to good following, and even after years of social dance, not everyone can follow well. Thank you, Tanya, for the article! Yes, a lead&follow relationship should be and feel like a co-creation, or it is no partnership at all. Why did you have to write this article? Because this common sense fact stated above isn’t present yet in our reality, obscured by a “lead&follow” that’s taught, well… wrong. It’s done everywhere and it’s done by professionals. I know because I am one of them. It’s hard of course to admit that we are doing something wrong on a fundamental scale but I envision a time when this will be inevitable – “lead&follow” is not necessary for co-creation to happen. That’s why we can – and we should – be teaching co-creation first and lead&follow as an (only then possible) add-on option.